So anyway… getting things done. What rambling thoughts do I have? First of all, a bit of background about my situation as everyone is different. 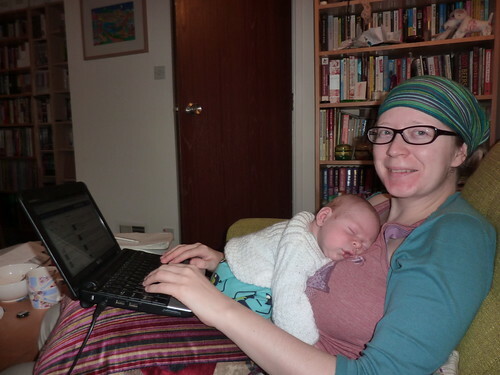 I have a partner who is supportive and gets involved equally as much as possible (although at present he is working, I’m on maternity leave and breastfeeding, so inevitably I’m doing most of the baby care at present). Our parents don’t live nearby, but have visited a few times in the first few weeks. For the first few weeks, I was recovering from my forceps birth and episiostomy but felt better after about a month. I’m breastfeeding. Sam like to take his time over his food, and he does cluster feeding (essentially, almost constant feeding) in the evening from about 7pm to midnight. He needs feeding several times in the night. Do I feel like my old self has ‘died’? That I’ve lost my identity? That I’m a completely different person? That the ‘old me’ no longer exists? Ok, it’s still early days I know; coming up to just 8 weeks now. You can ask me again in 6 months, but at the moment I can confirm that yes, I am still me and I still like the things I liked before and still want to do them. Do I still think it’s possible to have a baby and still be yourself, and still do things? Like I’d hoped, this motherhood thing feels like a brilliant add-on to who I am. 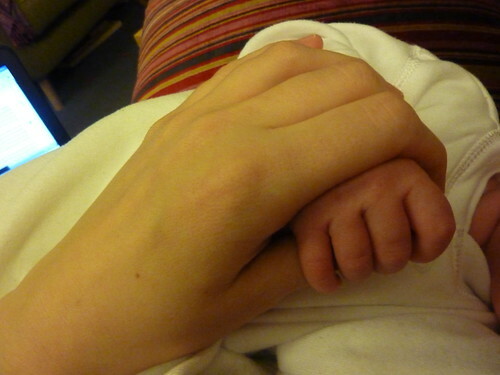 I’m a mum now, as well as (not instead of) everything else I feel I am. It’s fantastic and I feel lucky to have this experience in my life! The first few weeks are intensive. You are looking after the baby 24 hours a day, day and night. It’s like going on a residential course, learning a new really difficult, mentally and physically draining skill with absolutely no breaks and hardly any sleep, and IT NEVER ENDS! Babies don’t want to be put down, so you have to do everything with one hand. Sam doesn’t sleep in the daytime unless he’s lying on someone or being carried about, so it’s not like you can just put him down whilst you get on with whatever else it is you need to do. Sometimes you are trapped under them cause they’ve gone to sleep finally and you don’t want to move them and wake them up. I am breastfeeding, and this takes up hours and hours of the day. Literally, like 8-9 hours in total; intensively in the evening for several hours. This is something I’d never even thought about beforehand. After a lot of googling and reading(*) and reassurance from experts I now realise this is totally normal, but it’s a bit of a shock to begin with, and also means I am sat down for long periods of time or lay in the same position for hours. 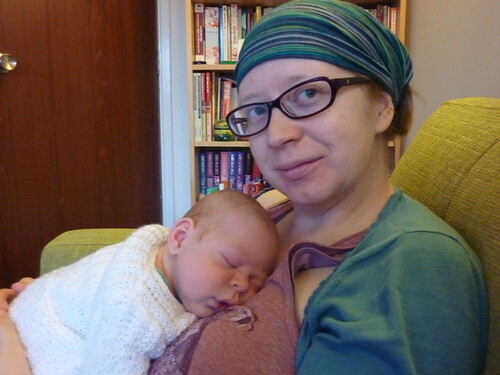 (*Thank you Leonie Dawson for blogging about breastfeeding for 15 hours a day!). It also means that doing anything in the evening is tricky (seeing friends) as I’m spending most of the time feeding Sam. But I can see this getting easier in time and also as I get more confident. I have a Baby Bjorn Miracle and a Baba Sling. The Baby Bjorn looks complicated but is actually simple. 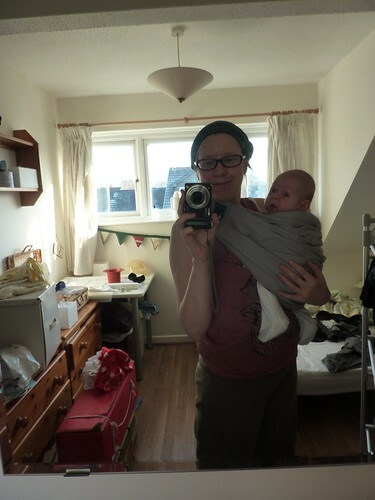 The Baba Sling looks simple but is complicated. I’ve ended up using the Baby Bjorn more, especially for going out of the house. 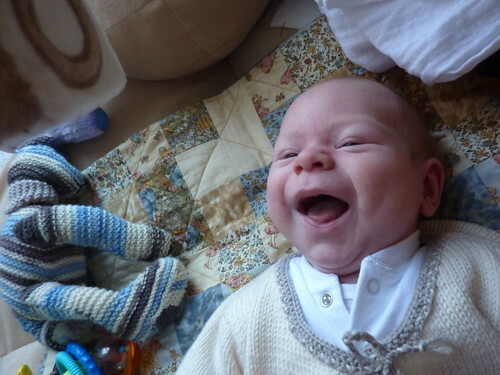 I’ve been advised that the baba sling works better for older babies anyway, so hopefully I’ll use that more later on. Having said that, neither of those carriers are recommended by the baby wearing consultant we had round, but we’d already bought them. 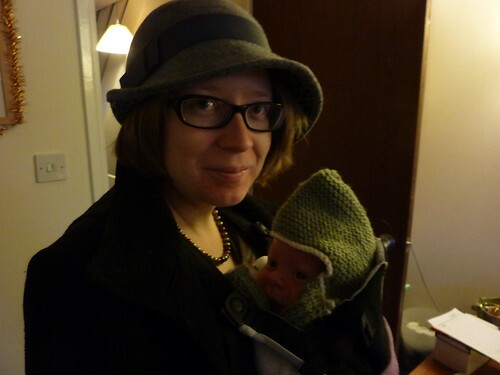 She showed me how to adapt the Baby Bjorn using a long scarf to improve the baby’s positioning. I will probably get at least one other type as I like to carry him about. It’s just easier. When I put him in the carrier and walk about, he goes to sleep. I can go to the shops, post office, and run errands. 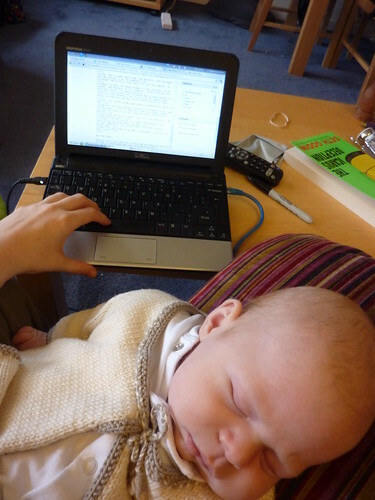 I have a small laptop that I can balance behind Sam on a cushion or reach on the coffee table, when I’m feeding him. This means I can do emails or write things, or waste hours of my life reading about the latest Twitter controversy (which is mainly what I do, DAMN YOU TWITTER!). Remember that earlier photo of Sam asleep on me? Argh! Out of reach!!! Noooooooooooo! I don’t watch daytime TV, I tend to have the radio on. The internet is my big time waster. Anyway, your multi tasking skills will increase. 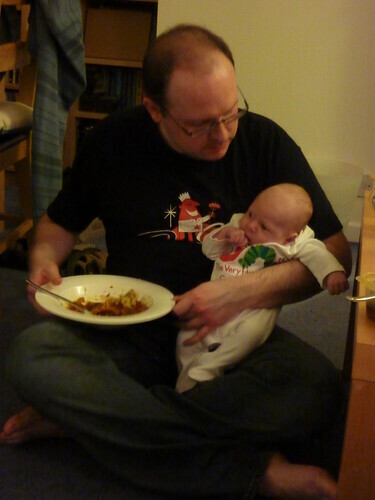 After a few weeks I came up with the following technique for eating food with Sam feeding on my lap, without covering him with hot splashes of soup or casserole (muslins only go so far). 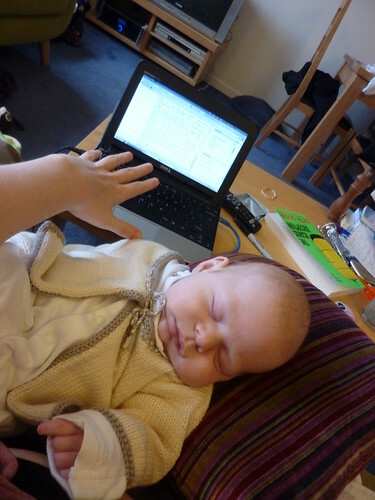 I was able to position Sam lying on a cushion on my lap so I had both hands free. I got a small plate, and held it in my left hand. With my right hand picking up the food with my fork, I’d position the plate underneath the fork and keep it underneath whilst I moved the fork to my mouth to catch any drips. Not dignified, but no splashes! Because you are sitting there feeding for hours, and then when that’s finished, you will probably have to carry the baby about with you, getting things done can only be achieved tiny step by tiny step. 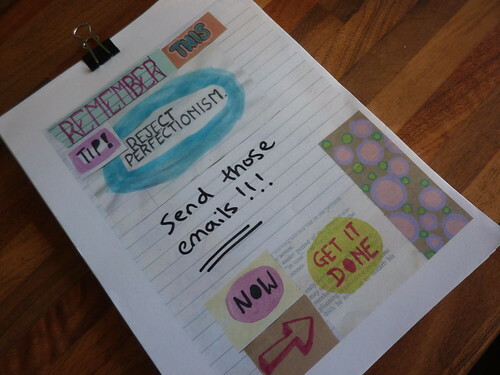 You know how you break things down into small steps to get things done? Think WAY smaller than that. Then smaller again. Ok when I’m able to stand up, first I need to pick up the file with the art work in it and put it on the table within reach so I can work on it later. He’s feeding again so now with my free hand I’ll position the art work onto a blank piece of paper for scanning later on. Ok, that’s ready. Next time I go upstairs, take the paper with me and put it by the computer. Right, while he’s lying there I’ll turn the computer on. 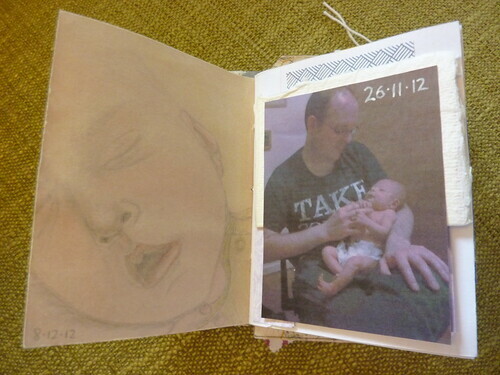 Now I’ve done the nappy change I’ll put the paper on the scanner. Hey Sam hold on just a minute I’m just putting this here don’t worry I’m coming now! Turn on the scanner whilst Andrew does a nappy change. I can feed him whilst sat in front of the computer and doing the scanning! And getting distracted by Twitter again. Edit the scanned image, again whilst feeding with him on my lap. Ok I have the sticker paper. Yes! Turn the computer on. Oh-oh Sam needs me again. Ok, nappy done. Put sticker paper in printer. Oh he’s hungry again. He’s fallen asleep on me. When I can move, I’ll print out the stickers. Because you’re sat down for a loooooong time you have lots and lots of time to think about what you’re going to do next. When that time comes, you spring up and whizz around like a whirlwind doing the three next micro steps you’d had planned. And one of them is usually “go to the toilet”. Not all the time obviously… sometimes you just sit there reading Twitter again because you’re mentally drained. 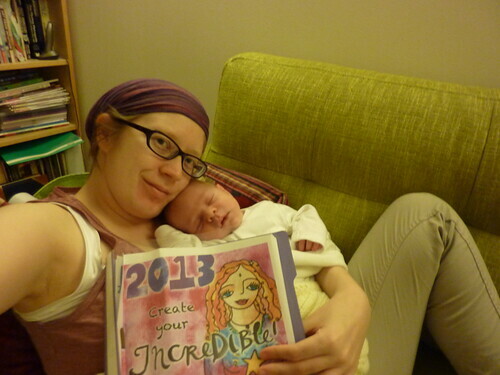 After the birth I knew I wouldn’t be able to do very much creative stuff. I decided to use one of my own handmade books as a sketchbook / journal for my thoughts because they are quite small and therefore very easy to fill up a page of doodles and sketches. 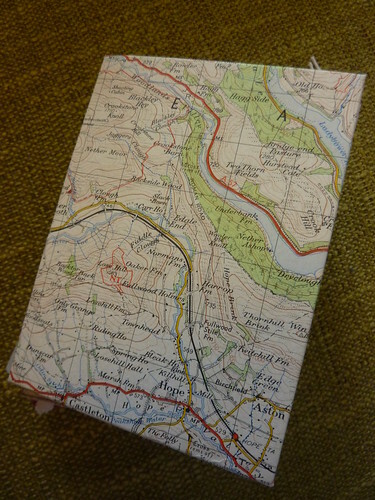 I chose one that has a map of the Edale valley on it, which is somewhere quite meaningful to me and reminds me of past adventures (and inspires me to future ones)! So in the first few weeks when Sam was feeding and I was just recovering I drew some pictures and silly doodles with my free hand. This kept me in touch with my creativity and felt good. When Sam is older we will go to baby art classes together. I’ve ordered some hiking DVDs to watch to inspire me. It’s January as I write this anyway, so hiking isn’t that easy to do at the best of times but the DVDs can inspire me towards the next time I’m on the hills. We’ve ordered a brochure of places to stay in the Lake District to plan our next hiking holiday with Sam. I really like this idea of micro/mini adventures and my ideal plan is have one mini adventure each week. I like to plan ahead. 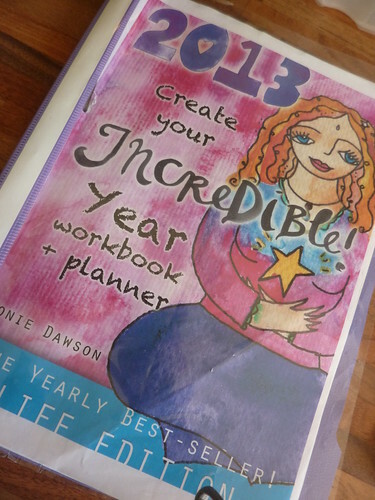 I really like Leonie Dawson’s annual planners (affiliate link, because I love them). They appeal to both my hippy side and my organised side. I also find that if I don’t set a goal for the day, nothing gets done (apart from baby stuff, which is certainly not ‘nothing’ as explained in Part 1). When I use my Daily Quest sheets and WRITE DOWN and COMMIT to the day’s goal, I find it tends to get done. For me, having one thing to do rather than a long intimidating list, makes me more likely to actually do it. I find it useful because you have to prioritise what’s most important that day. Drying the pots, for example, is not a priority. As long as they’ve been rinsed, they can drain. Who cares? I seem to have managed to combine two seemingly opposing beliefs. 1) I’m looking after a baby. This is SO super-intensive and time consuming that if I get anything else done AT ALL, I deserve a medal. 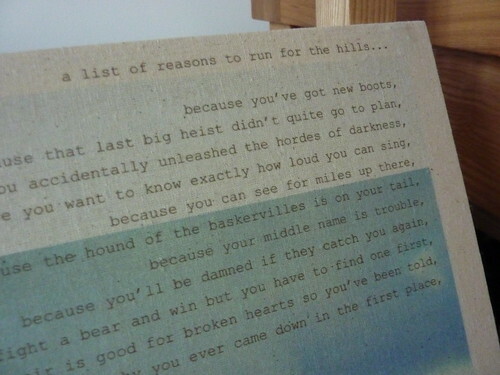 2) Woooo look at this list of things I want to get done and ideas I have! Yeah! ANYTHING IS POSSIBLE! Let’s do it! I know, I’ll make some stickers. I’ll draw my birth story in cartoon form. I’ll make a proto-type card/book hybrid thingy. YEAH! I don’t know how these can co-exist but somehow it works for me. It means first of all that I try to do things (2) and if I manage to do anything I’m really proud of myself (1). Parents visited and helped around the house too, which is very useful. Andrew also makes food for me. I’m lucky to have such helpful people in my life. Anyway, if you are lucky like me, get used to delegating! Now that I’m sat down so much I’m really craving exercise. It would seem like heaven to me to go to the gym (hmm maybe I take it back about not being a different person, ha ha!). At the moment all I’m managing is to stretch daily and to get out of the house every day, which usually involves a walk. I’ve also had a couple of massages which REALLY are appreciated. Seriously, a massage is a great gift for a new mum. I’ve added stretching to my list of habits and do it during a nappy change as it’s a useful reminder: whenever I do a nappy, do a stretch. Also, it’s something for Sam to watch. And I’ve boosted my diet with a daily smoothie with this super food mix in. It makes the smoothie a sludgey muddy green but it tastes lovely and I think it could be the only thing keeping me coping with the sleep deprivation. 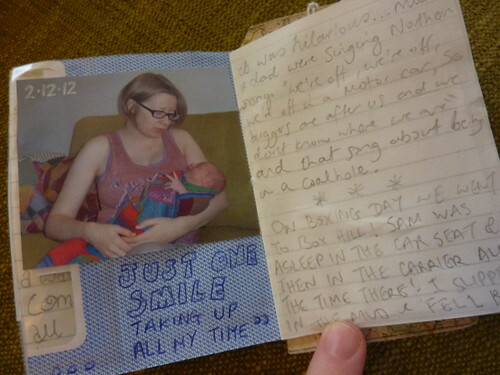 I had Christmas to deal with just 4 weeks after Sam’s birth. Some days (most days possibly) I won’t do anything really apart from look after Sam and not feel guilty about it. This involves a lot of lying in bed and sitting down and indulging in resting. It’s important to get rest and to slow down and absorb it all. After all this moment in my life will never happen again. As hard as it is I’m almost sorry the last few weeks are over. I want to go back and do it again, despite the sitting on ice packs and painful breastfeeding experiences and no sleep and tears. How often do you get to stare for hours at your baby sleeping and think about how lucky you are? How often do you get moments like this in normal life? Enjoying it all and having fun is the absolute number one ‘thing to get done’. P.s. If you liked this post you might like Your Daily Quest or my Mum To Be Survival Kit and Planner!